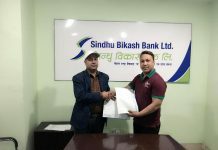 Prabhu Bank Limited has expanded its branch network and with the aim of providing quality banking services with simple state-of-the-art technology in Khandbari wardno.1 of Sankhuwasabha district as the Khandbari branch and the Triyuga municipality ward no. 11 of Udaipur district as Gaighat branch offices have been made operational starting from 10th of Chaitra 2075. The Khandbari branch office located at Khandbari ward no.1 of Sankhuwasabha district was inaugurated by the mayor, Murari Prasad Khatiwada. 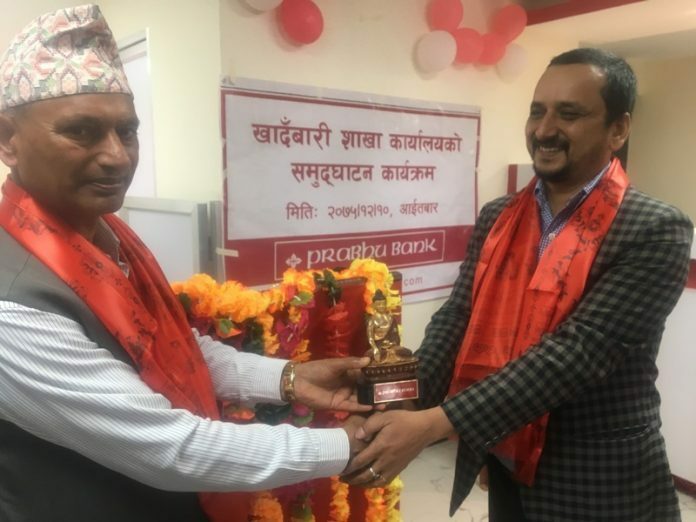 Likewise, the Gaighat branch office located at Triyuga ward no.11 was inaugurated in the presence of State minister, Himal Karki. 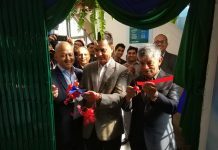 The inauguration ceremony of Khandbari branch office and Gaighat branch office took place in the respective districts in the presence of a large number of general public, including representatives of different government offices, representatives of various political parties, officials of industry commerce, stakeholders of various association, local social servicemen, businessmen, and intellectuals. In their speeches, the honorable chief guests praised Prabhu Bank for expanding their branches and for providing simple and qualitative banking services to the people who didn’t have the access to proper banking services in the state level at various VDCs and municipalities. They requested the citizens of Triyuga and Khandbari municipalities to properly utilize the golden opportunity to access the qualitative banking services provided by Prabhu Bank to expand their business and take full benefit of the banking services. 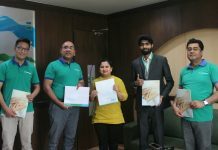 Prabhu Bank believes that the local level service providers, various types of business and business firms, companies, unions, and organizations will be benefited by the banking services provided by the banks of the Gaighat and Khandbari branch, and will play the huge role in the overall economic development of the two municipalities.